The Governor of Lagos State, Akinwunmi Ambode, and his Edo State counterpart, Godwin Obaseki, on Thursday in Lagos stated that the acquisition of vocational training can help fight the increasing unemployment in the country. The governors, who were speaking at the inaugural edition of the Annual Lecture of Swaaya Limited, publishers of Freedom Online newspaper, with the theme: “Unemployment: How Do We Tame This Monster?” mentioned steps they have taken to roll back unemployment in their states. Mr. Obaseki, who was represented by his Chief of Staff, Taiwo Akerele, said his administration has made huge strides in technical and vocational education aimed at empowering the youth and creating more jobs. 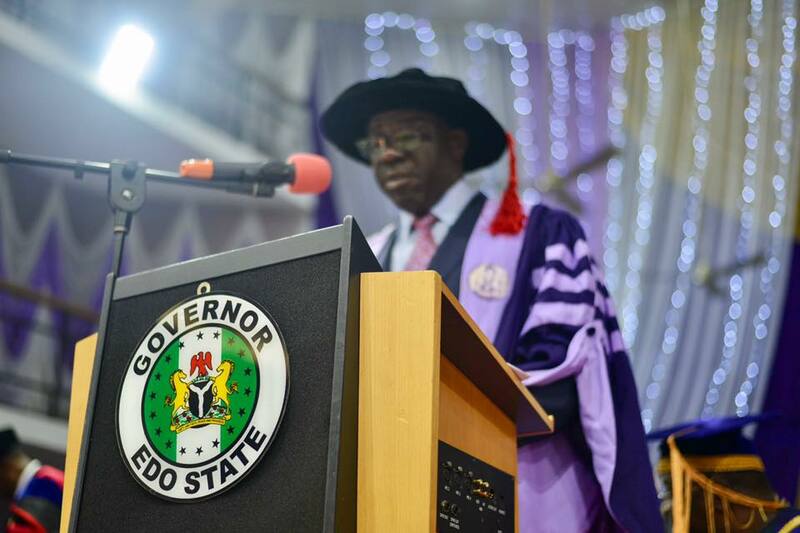 “We realised that with the right skills and technology, the problem of unemployment can be addressed and the Edo State Government has put in policies to create 200, 000 jobs within four years,” he said. Similarly, Mr Ambode, who was represented in the lecture by his deputy, Idiat Adebule, stated that the acquisition of skills and vocational training are the panaceas to the country’s unemployment problem. The governor of Abia State, Okezie Ikpeazu, in his keynote address said unemployment was a socio-economic problem that has led to an increase in crime. Mr Ikpeazu who was represented at the lecture by his deputy, Ude Oko-Chukwu, identified several factors responsible for the rise in unemployment in the country. He listed wrong education policy, epileptic power supply, corruption, ghost workers syndrome, neglect of agricultural sector, high importation and lack of access to capital funds as some of them. “There must be a reformation of the education system where practicals and skills are taught to empower people. On his part, the director general of the Nigerian Maritime Administration and Safety Agency, NIMASA, Dakuku Peterside, said human capacity development is a sure solution to the country’s unemployment crisis. Mr. Peterside, who was represented by NIMASA’s executive director for maritime labour and cabotage services, Gambo Ahmed, said the agency is rolling back unemployement through its Nigerian Seafarers Development Programme, NSDP. He stated that the NSDP has trained over 2,500 Nigerian students in various maritime related courses in reputable maritime institutions outside the country. He said, through the programme Nigeria is on course to becoming an exporter of seafarers like India and the Philippines, which make millions of dollar annually from their pool of seafarers.